Danwin James is the Tasting Room manager at Backsberg, and apart from knowing the finest details about each wine and brandy on offer, he’s also got a witty sense of humour, which makes a wine tasting session with him even more enjoyable and memorable. 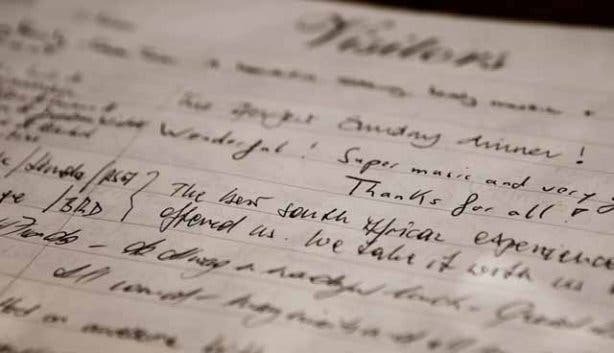 The philosophy of Backsberg remains that of providing pleasure and enjoyment to a broad range of wine lovers by producing wines not only with structure and finesse but with a high level of drink-ability. Wines have been grouped into categories to make tastings easier to manage and keep track of. Kick off your Backsberg wine tasting experience with the Sauvignon Blanc 2007 and 2008, the Chenin Blanc 2008 or the Rose 2008. Palate open? Good! Included in this category are the Chardonnay 2007 (9-month wooded), the Pinotage 2007, the Cabernet Sauvignon 2006 and the highly recommended and robust Merlot 2007, which Danwin is particularly passionate about. Very popular in this category is the Aldorina 2007, a white wine pressed partially with red grapes. Also try the Bella Rosa 2007 (dry rose) and the Elbar 2006. These French and Italian cultivars widen the tasting experience. Now we’re talking! 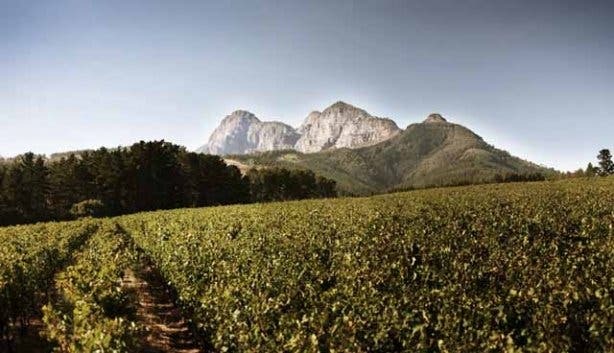 In this category you’ll find the wines that Backsberg is most proud of, and all of these wines have stories to be told – stories that Danwin will ably tell. John Martin Sauvignon Blanc, Pumphouse Shiraz, Klein Babylonstoren (Cabernet/Merlot blend, 24-month wooded in French oak) and Babylonstoren varietals take pride of place in this category. The superb Babylonstoren 2003 blend is made up of 45% Cabernet Sauvignon, 30% Merlot and 25% Shiraz, resulting in a beautifully complex wine with “plenty of hidden secrets”, says Danwin. To cater for the Jewish market, Backsberg produces limited quantities of Mevushal Kosher wines (Merlot, Pinotage and Chardonnay), which are Kosher for Passover and are popular on Jewish New Year and the Day of Repentance, Yom Kippur. Backsberg also produce a small range of three (5-year, 10-year and 15-year) premium brandies named after the late second-generation owner, Sydney Back. These have been recognised as being among the best brandies in South Africa, and the world. 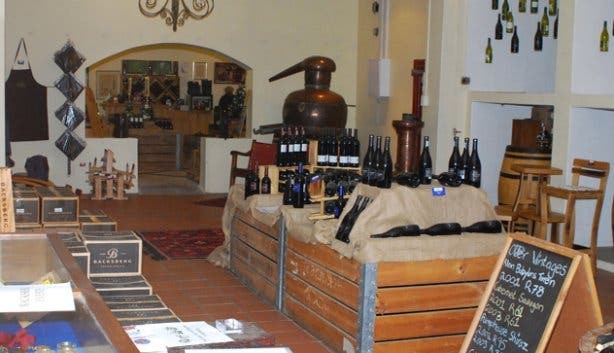 Backsberg was actually the first private estate in South Africa to produce brandy (in 1991), using a double-distilled process with a still purchased from Cognac in France, which remains in use today. “With slow release of the original brandy over 5 year intervals we should be able to keep going for 100 years!” they say. 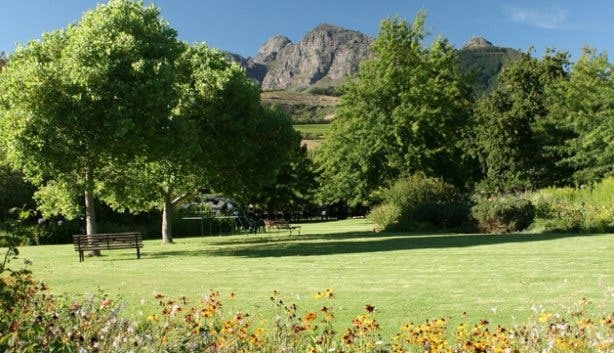 Backsberg is not only open seven days a week for enlightening wine tastings, it also boasts a popular daytime restaurant with both an expansive outdoor garden setting as well as an indoor area for the cooler winter days. Perfect for a mid-week lunch before a wine tasting, or a lazy world-famous Sunday spit braai. 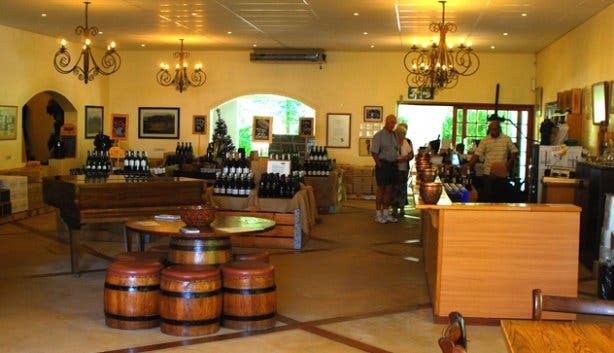 Wine tasting is available between 08:00 and 17:00 from Monday to Friday, between 09:30 and 16:30 on Saturdays and between 10:30 and 16:30 on Sundays. Booking is essential for tour groups larger than 15 and a small fee will be charged for tasting. Formal tastings and cellar tours are by appointment only. 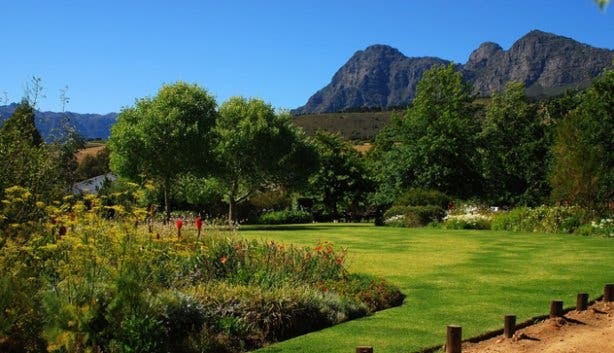 To discover more about the best wine tastings on offer in the Cape Winelands, make sure that you subscribe to our monthly Editor’s Picks Newsletter.